Know When You Have Network Issues Before Your Users Do! Peace of mind for you. Reliability for your users. The most powerful network monitoring tools are just a few clicks away. Fill out our form to receive a free demo, get started, or see if you qualify for a free trial. We will create a custom package to meet your specific network structure and number of locations. Explore features of our network agents and find the right configuration for your needs. Get a demo of our dashboard, performance monitoring report and diagnostic tools. Learn how Netbeez can help you to prove that 'It's NOT the network!' while dramatically reducing time to identify and resolve network issues. No matter how complex your network is or how many remote sites you have, NetBeez has a solution that fits your needs. 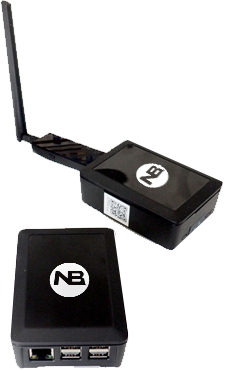 NetBeez pricing supports plug-and-play wired, wireless, or virtual agents to be deployed at each WiFi and remote location. NetBeez is offered as a subscription service with a variety of options to fit your needs. 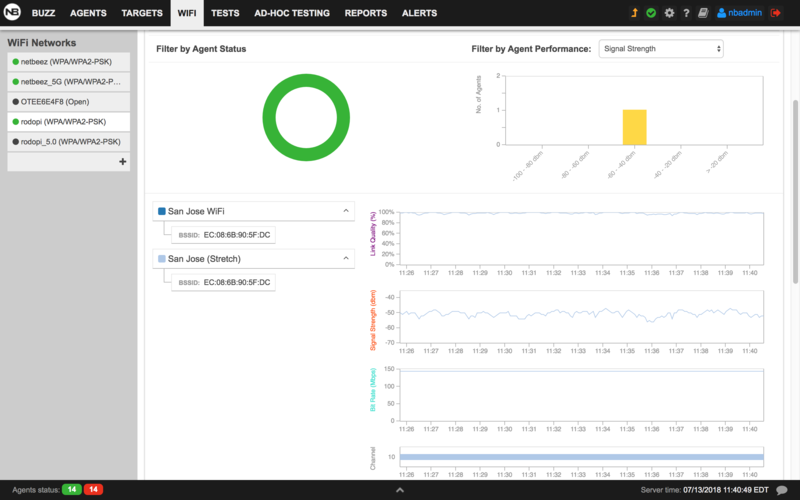 Sign up to start proactively monitoring your network! The NetBeez dashboard was designed with its users in mind. By ‘Users’ we mean the network and wireless engineers, architects, and NOC operators who are expected to provide proactive detection of performance degradation and a quick response to network and application issues. IT managers and directors use this data to identify underperforming areas of the enterprise, justify network upgrades with performance reports, and plan network refreshing with quantifiable data. 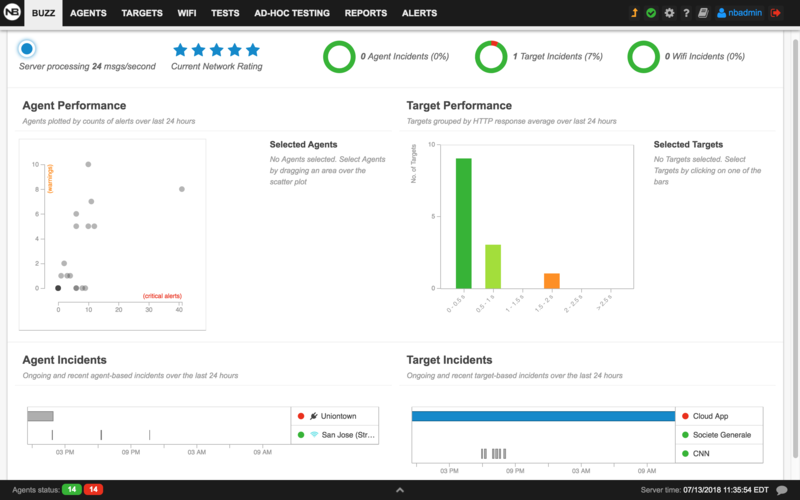 The main screen of the NetBeez dashboard provides a high-level overview of network quality and applications monitored by the agents. In this view, the user can quickly be alerted about network or application issues that end-users are experiencing. 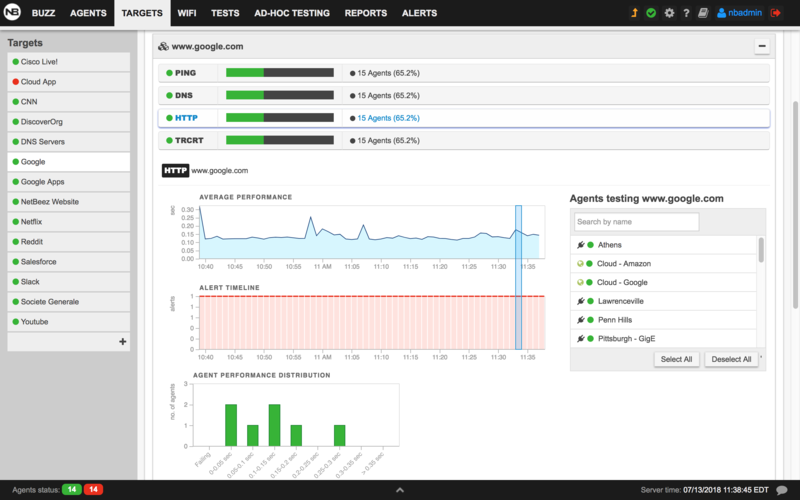 The Agents tab is used to configure agents’ settings and review their statuses. 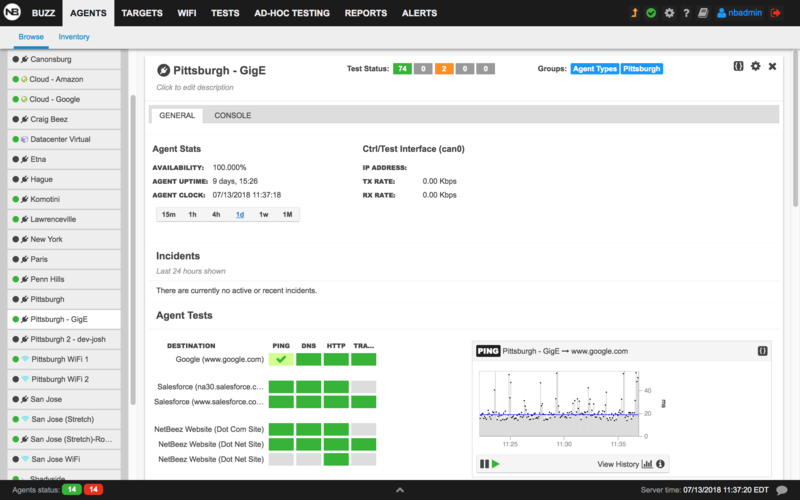 For each agent, the user can review its network configuration details, open alerts and incidents, tests results, and run commands via the interactive console. The Targets tab is used to check and create the status of a monitoring target. 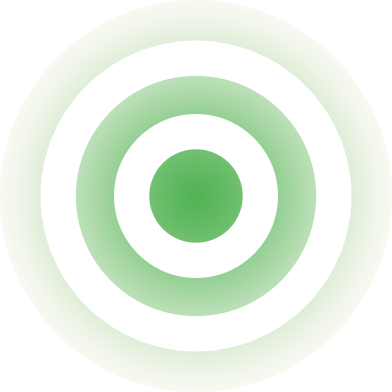 Targets can be: an HTTP-based application, a DNS server, a generic set of network tests (e.g. ping and traceroute) between agents or against a generic host. The WiFi tab is used to add wireless networks that will be monitored by the WiFi agents. This tab also shows lists of the performance metrics detected by the agents for each network, such as: Signal strength, link quality, channel, and BSSIDs available. 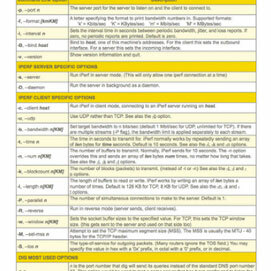 We introduced our two-page command line reference at Interop ITX 2018 and would like to share a downloadable version! © 2019 NetBeez. All Rights Reserved. NetBeez® and the NetBeez logo are registered trademarks of NetBeez, Inc.